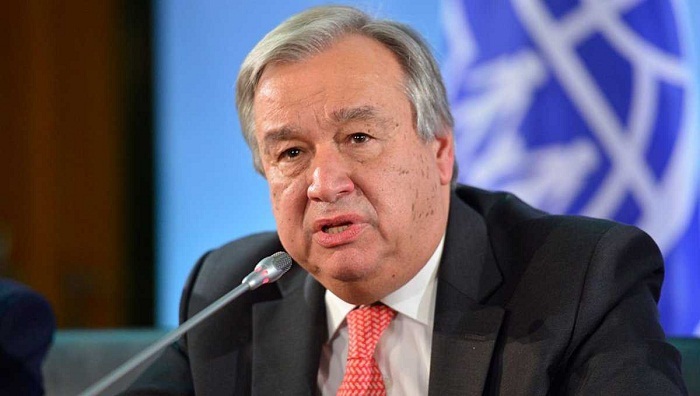 UN Secretary-General Antonio Guterres has urged all to value water resources and ensure their inclusive management to protect and use this vital resource sustainably for the benefit of all people. “We must encourage cooperation to tackle the global water crisis and strengthen our resilience to the effects of climate change to ensure access to water for all, especially for the most vulnerable,” he said adding that they striveto achieve the Sustainable Development Goals (SDGs). In a message marking the World Water Day that falls on March 22, the UN chief said these are vital steps towards a more peaceful and prosperous future. Today, the UN chief said, 2.1 billion people live without safe water due to factors such as economic status, gender, ethnicity, religion and age. He said growing demands, coupled with poor management, have increased water stress in many parts of the world. “Climate change is adding dramatically to the pressure. By 2030, an estimated 700 million people worldwide could be displaced by intense water scarcity,” said the UN chief.